I was a little hesitant after looking at reviews and approval odds, but I applied anyway. I was declined, but called the reconsideration hotline and got the decision overturned. My card arrived quickly and I've been very happy with it. The interest is low, the cash advance apr is the same as regular purchases, and it's an all around great deal. Highly recommended. People I hate this company more than anything in world, they will Ruin your “CREDIT “ don’t apply, promise you that you will regret and they are worse in every level of Customer Servicers . This is a HORRIBLE financial institution. They charged me fraudulently for a transaction and after more than a month in dispute, I managed the issue myself with the company who charged me (I did Barclays job for them). Aside from that, they’ve just lowered my credit limit from 5500 to 1400 without notice - my credit score is over 700 and I updated my income recently because I’ve had a decent increase. Their reps over the phone are the WORST people to talk to. They either have no clue what you’re talking about and are NOT financially educated or CLEARLY don’t want to do their job of taking calls. Haven’t closed the card because it’s going to further impact my credit but not dealing with this “bank” may be worth it. I was approved for this card, but after some time, I ran into financial stuggles, couldn't pay for a few months and they closed my account, when I finally was able to pay about a month later, I asked them if they could reopen my account, and the wouldn't - at least CapitalOne reopened my accounts with agreement that my payments had to be on time for 3 consecutive months or it would be closed again and sent to collections... I did pay on CapitalOne and I still have them, Open. Barclay can go where the sun don't shine. I had this card for yes . Balance over 5k twice. Paid off beforvterm. Once I did, they closed my account for inactivity. Don’t get this card. I applied and was not approved. Just like the other person, I called the reconsideration line and my application as well as my balance transfer got approved. Credit Score 726. I read these negative reviews and I thought I didn't have a chance but I'm glad I made an effort to contact the bank. 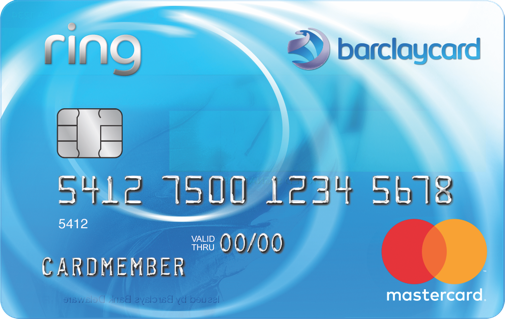 "Google" applying for Barclaycard Ring and review the articles online and you should get an idea of whether you might be eligible to get approved. very difficult to get approved with even high credit score. Everything about this card is garbage. Horrific customer service... you’d rather call your student loan servicer. The fraud department is a joke! Allowed $3k of overseas charges but flagged my card at the same gas station I use twice a week. What specifically makes it "trash"
Be sure to look at the fine print for balance transfers. It's 2% fee, 0% intro in the first 45 days, then it's 0% fee but a regular interest rate after 45 days. You have to pick one of the other.